Nowadays, it seems like people forget to say ‘Thank you’, and there’s so much to be thankful for and so many people we can say these two words to with or without an occasion. What else can you add to them to make it even more festive and meaningful? Flowers!? And not just any flowers but the ones delivered to you by Flower Shops. But why us? Continue reading and you’ll see. There’s plenty we can provide to you, and not just Thank You Flowers. Balloons can also be appropriate for expressing thankfulness, especially ones with the proper messages printed on them. Tied with a ribbon on Say Thank You with Flowersits own or in combination with a flower bouquet and a card, a balloon can certainly add some happiness to a gloomy day. But flowers, with all their gorgeousness, are the ultimate means of saying how grateful you are. That’s because they add something a little more to just the simple words that sometimes you might forget to say. This thing expressed by the gesture of adding Thank You Flowers to your acknowledgement is the special care that you’ve put into the message you send through these flowers. And it doesn’t matter whether they are fresh-cut ones or potted plants because you’ve made an effort to add something more to your thankfulness. And the very fact that you decided to make that gesture shows the extent of your true gratitude and how much you appreciate a certain favour or just your friendship with someone. Wanting to show someone how special he or she is to you by ordering a delightful bouquet from our company with a card that says how appreciative you are that this person is in your life right now is a kind gesture that goes beyond mere words. He or she will feel amazing for sure, especially if this is something unexpected. Doing somebody a favour has become something unusual, rather than a common occurrence. Good people who are ready to do favours gratuitously are fewer Thank You Flowersand fewer in number. That’s why it is essential to express your deep thankfulness when someone does go out of their way for you. Have in mind that this person spared some of his or her own time in order to help you. That should count for something, shouldn’t it? Showing some gratitude in return is your choice; you also choose the way you want to convey your appreciation. 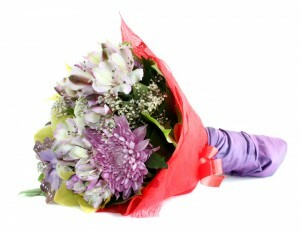 Make it more unique by sending Thank You Flowers from Flower Shops, and your fine gesture will be esteemed. Whatever flower arrangement you intend to give as a sign of acknowledgement, rest assured that it’s something our devoted florists can handle and easily create. It doesn’t even have to be an immense bouquet of flowers, as long as it carries your message of gratitude. And it certainly is better than saying a few warm words because with flowers it will stand out and thus will be remembered. And by doing so, you probably want to let the person who did you a favour know that you, on your part, won’t forget the kindness you witnessed. This individual should somehow be rewarded, and our flowers delivered right to his or her door can be the perfect match. Words themselves mean something, but if they are supported by kind gestures, they mean a lot more! What do you say? 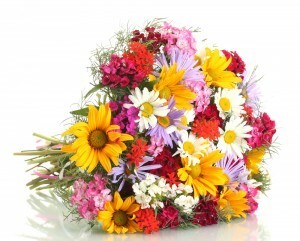 Are we worthy enough to make a flower delivery of a flawless arrangement to a certain address? Well, you have the last word, and you’ll make the decision for yourself. But until you do, here is our phone number – ‎020 3900 2440 – just in case.